Episcopal Church Women (ECW) is a national organization of all Episcopal women who are a part of the life and work of Christ Church and the Episcopal Church of the United States of America. No invitation is needed and there are no prerequisites to membership, except a desire to help further the work of the church. Luncheon meetings are held on the first Tuesday of each month from September to May with guest speakers. 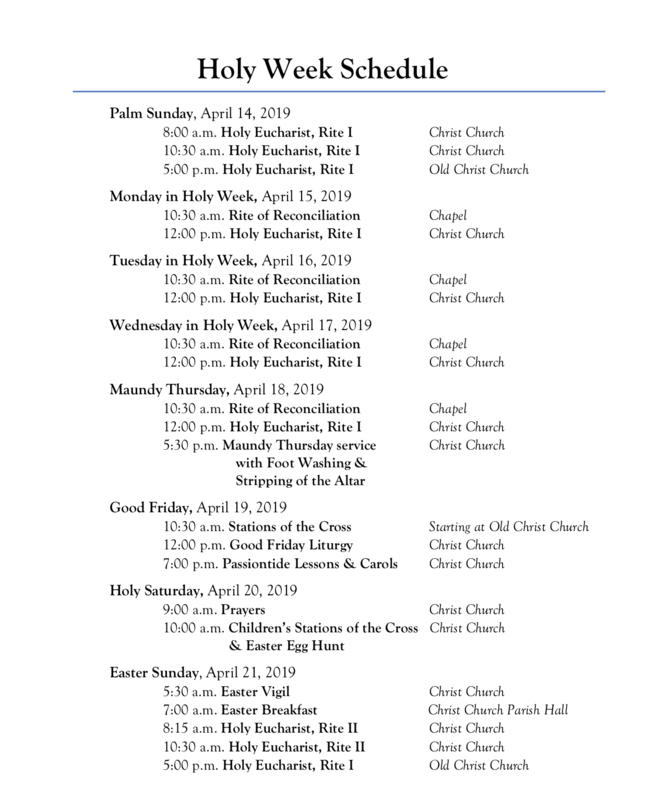 Reminders are published in the church bulletin and the Chronicle. These luncheons are an opportunity to meet and socialize with other women of the church while hearing about our faith and its work in the community. In addition, the Tender Loving Care Ministry operates through ECW during Adventide and Eastertide to visit and present a gift of remembrance to parishioners who are unable to attend services or need pastoral care. For more information on the national organization visit www.ecwnational.org.